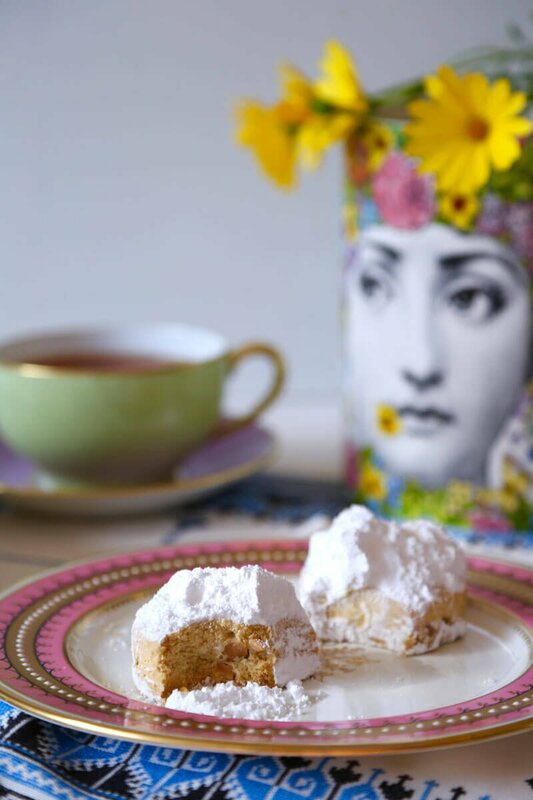 Dimitra’s kourabiethes have the perfect balance of butteriness and crumbliness, and along with beautiful bursts of roasted almonds and a very generous coating of icing sugar, they will certainly satisfy your sweet tooth. They are usually made for Christmas and Easter as a treat to share with family and friends, but they are so good, that you’ll want to make them all year round! 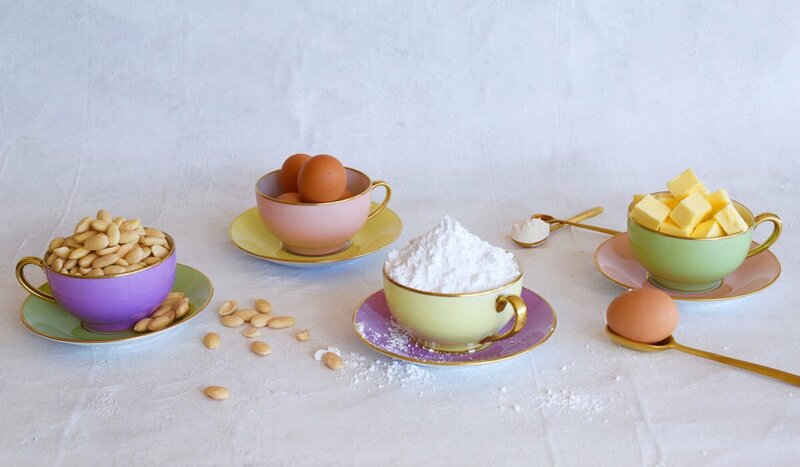 Watch now and learn how to make these delicious festive delights and also enjoy the special memories and pearls of cooking wisdom that Dimitra shares too! 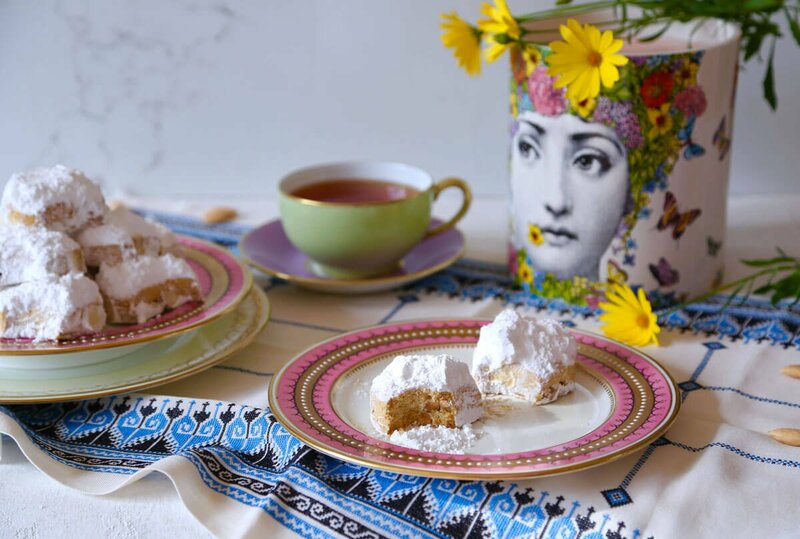 A beautiful Greek shortbread style cookie that is elevated by the lovely, nutty flavour of roasted almonds and crowned with a generous layer of icing sugar. Once the kourabiethes have cooled, they can be enjoyed!